Lisa’s Passion for Popcorn has had some major changes since it was founded in 1984 by Lisa herself! Of course, Lisa started this business from the ground up, creating almost all of the unique and delicious flavors we still have today, such as Caramel and Sugar Cookie. Then, in 2016, Zack and Brooke Call, Lisa’s son and daughter-in-law bought the business and took over. However, for 32 years Lisa was successful in creating and selling the best popcorn in the world. The shop is now almost unrecognizable compared to what it first looked like! Pictured is what the shop looked like quite a while ago. You might be able to spot flavors we used to make such as pistachio, lavender, and even our toffees and pretzels. Since then we have created new flavors, cut out old ones, and redone the shop multiple times. If you haven’t visited us in a while, you may not be able to recognize that it’s really Lisa’s! But when you taste the same homemade flavors and colors of our famous popcorn - you'll know. Our team has also grown, from quite literally a handful of workers to over twenty, but no matter how much Lisa’s Passion for Popcorn grows we promise you will still be helped with a smile! These are some of our first team members Zack and Brooke worked with - and some they still work with! Once Lisa’s started rapidly growing Brooke and Zack decided a remodel was needed. In fact, we actually had a few remodels. Two upstairs in the shop that you see, and one in the basement which is now the office space for our sales team and marketing members. Of course we brightened it up with the inspiring words of our team values. 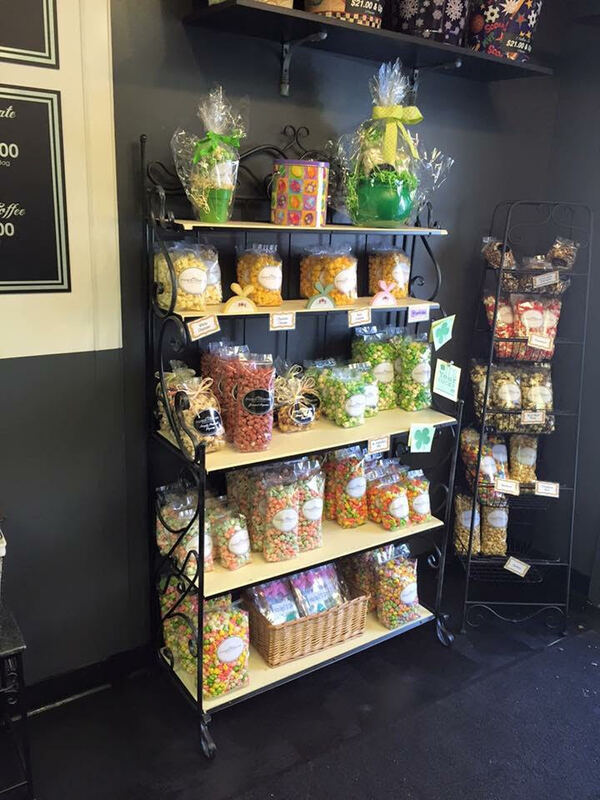 In our most recent remodel, we opened up our retail space to create the Popcorn Bar. 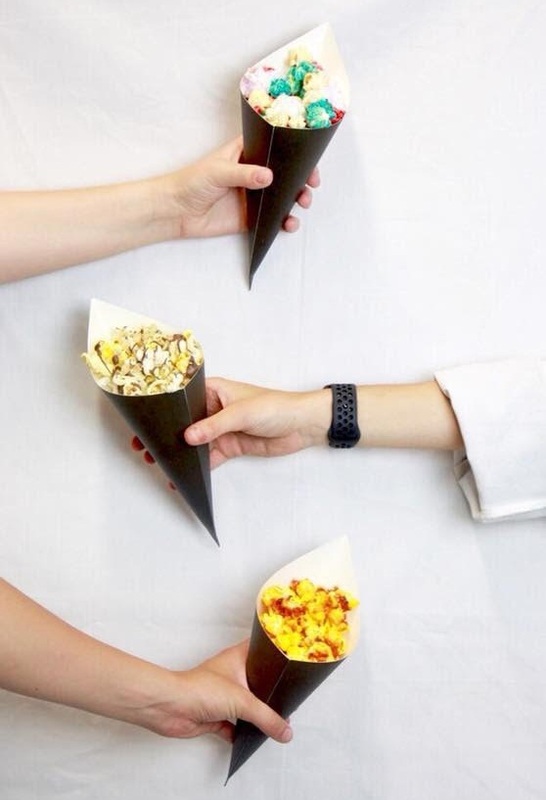 This is an innovative, unique way to get popcorn. The creating is left up to the most important person to this company - YOU! Between toppings, drizzles, and popcorn flavors, you can make exactly what you want exactly how you want it. Through all of these changes Lisa’s is still - well - Lisa’s. Our incomparable flavors are still freshly made every day in our shop using the same recipes Lisa used. The same experience of interacting with our helpful team to help you pick the perfect gift, treat, or party favor. If anything, the experience is easier and more exciting for you. For more information on our unique Popcorn Bar, visit our page explaining how it works! For exclusive deals, discounts, and even free popcorn, sign up for our discount club! (Text ‘passion’ to 797979) And if you have any questions about our shop, our popcorn or our team, contact us, we’d be happy to help.